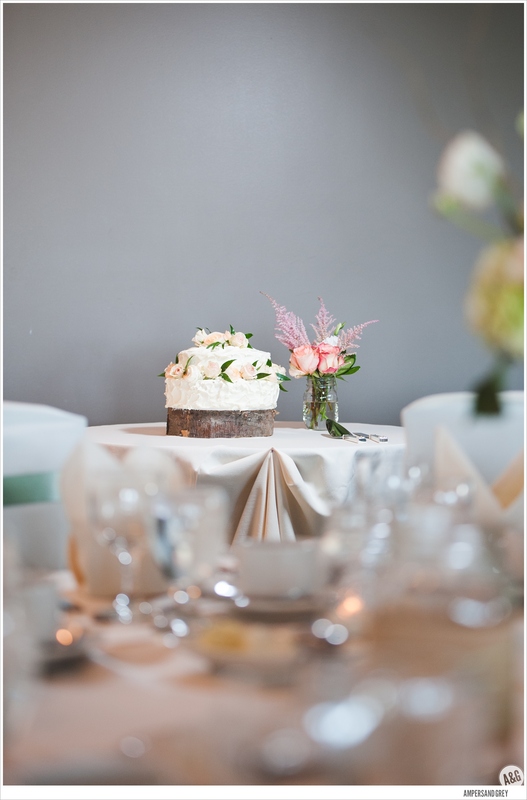 Our favourite thing about Kait and James’ wedding was the simplicity of the decor. 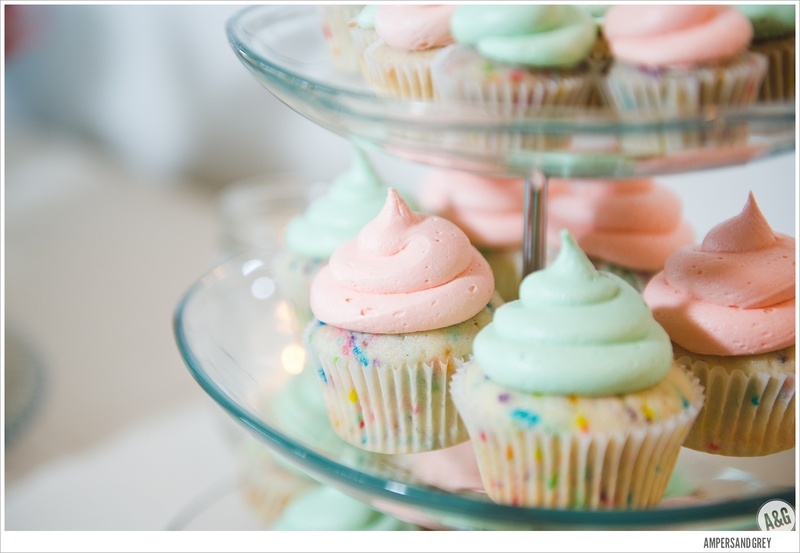 This is a perfect example of less is more. 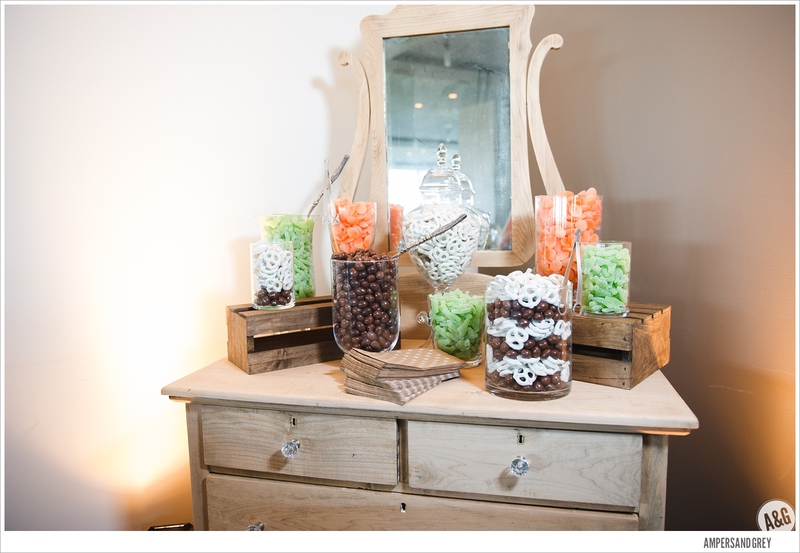 We used the gorgeous birch tree backdrop for wow factor. 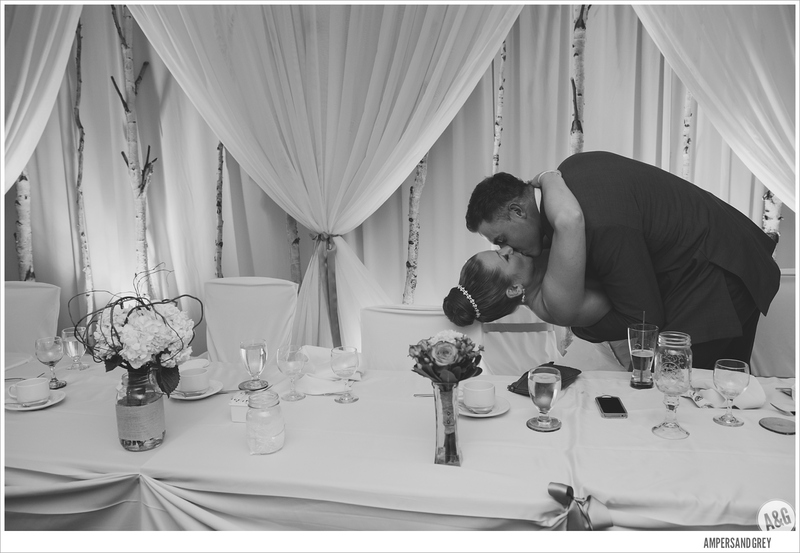 The back drop takes up most of an entire wall which set the pleasant nature inspired atmosphere. 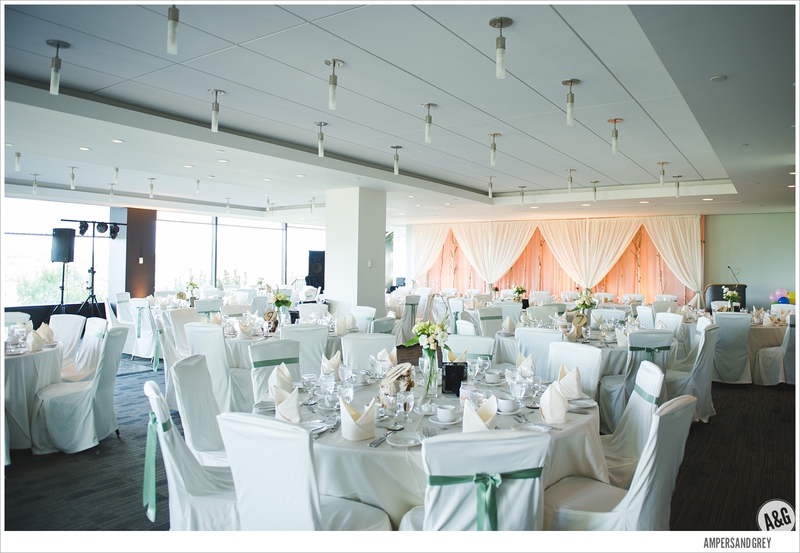 Kait kept her tables linens ivory with beautiful floral arrangements and added a bit of color with sage ribbons accenting every other chair. 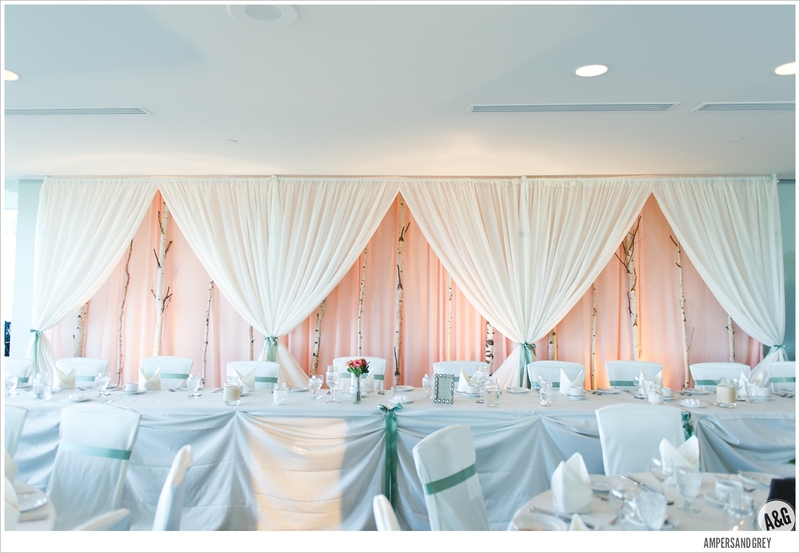 The soft colour pallet and the crisp lines of the decor enveloped the room in an untouchable elegance. 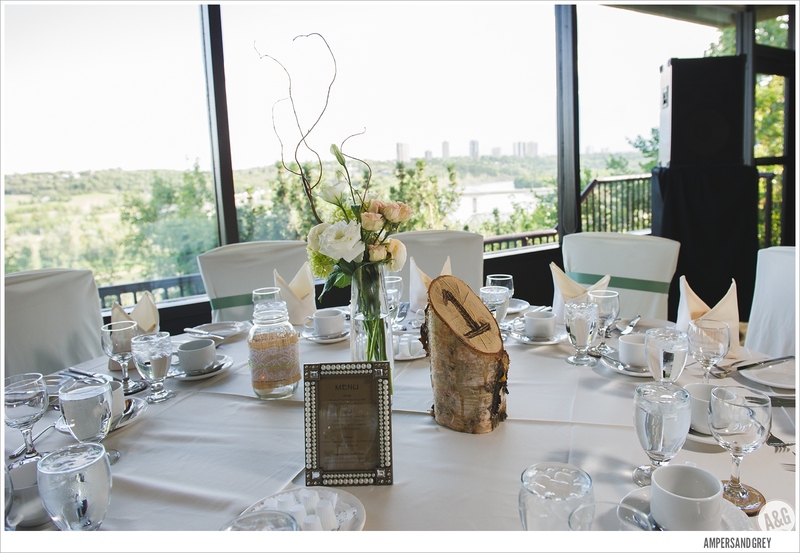 Not to mention, the River Room at the Shaw Conference Centre boasts gorgeous views of the Edmonton river valley through their south facing wall of windows. 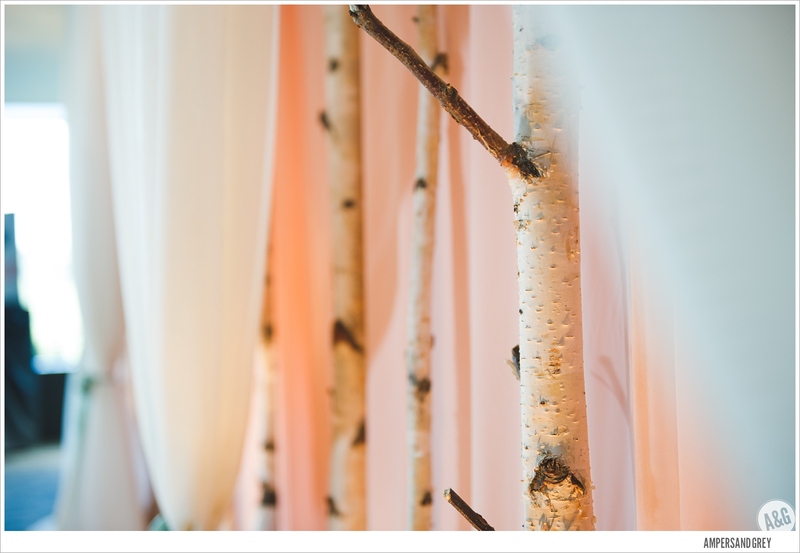 Birch tree backdrop in soft peach and ivory.